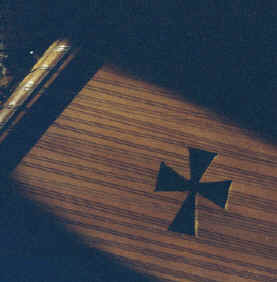 The soundhole on my first dulcimer, Shadrach. During my freshman year at Westminster Choir College, word got around about my recorder playing, particularly that I could improvise and extemporize. Soon after, the Church Music Department at the College found out, and soon I was invited to improvise to the hymns sung during one of Westminster’s Saturday Seminars for church musicians. The attendees, from a wide geographical area surrounding the Choir College campus in Princeton, New Jersey, were pleasantly surprised, although several approached me afterwards asking: “Where am I going to find someone in my area who does this?” I said that I’d be happy do it, and I’ve been serving churches of many denominations as a church resource musician ever since. Contact me for further information. The point of music-making in the church is to enhance the worship experience rather than perform with the expectation of applause. ( I’ve been known to ask congregations to hold off and let the last note trail at the end of a musical selection. It’s all “soli Deo gloria!”) Through recorders of various sizes, hammered dulcimer and diatonic autoharps, I breathe new life into “old” tunes at a time when praise music challenges the fate of the organ and traditional hymns in the Church. I can certainly improvise to praise music with the best; however, I do enjoy the intricacies of harmonizing to “the great hymns of the Church” far more. prelude, offertory, special music, postlude (see my solo repertoire lists for dulcimer and autoharp and the Christmas/Advent listone day soon I would like to delve back into the wonderful four-movement recorder sonatas I played in college). improvising to hymns played by the organ and sung by the congregation (all instruments; recorder and Bach chorales go together especially well!). join the choir to offer choral anthems, either as the sole accompanist or as a supporting musician (see my choral music list). Fret not about geographical distance. Some of the churches I’ve served include: St. John’s Cathedral, Denver CO (where I served as Music Associate under the leadership of Donald Pearson); Christ Church Cranbrook, Bloomfield Hills MI; St. Timothy Lutheran Church, Wayne NJ; First Presbyterian Church, West Chester PA; All Saints Episcopal Church, Birmingham AL; St. Andrew’s Episcopal Church, Ann Arbor MI; Fairfax United Methodist Church, Fairfax, VA; Montview Presbyterian Church, Denver CO; Moorestown (NJ) United Methodist Church; Port Charlotte and Edgewater United Methodist Churches, both in Port Charlotte FL; Pennington (NJ) Presbyterian Church; Christ Episcopal Church, Denver CO; Grace and First United Methodist Churches, Winfield KS; Church of the Ascension, Frankfort, KY; St. Barnabas Episcopal Church, Denver CO; and for church services held during the summer season in Yellowstone National Park, WY. Additionally, I participated in a church bicentennial program for the United Methodist Council of Bishops convocation in Madison NJ, and provided special music during the monthly chapel service for the employees of Focus on the Family in Colorado Springs, CO. Even the Archbishop of Canterbury celebrated the Eucharist while I played hymns on diatonic autoharp!